Salmon candy has become my new favorite road food. And while it looks like regular smoked salmon, it’s not. What on earth is salmon candy? Well, I first heard about it when it was called squaw candy, but it’s no longer called that for obvious reasons. It’s basically heavily smoked strips of salmon, originally smoked so long they were basically jerky. Nowadays it’s usually lacquered with something sweet, such as brown sugar, maple or birch syrup, or even molasses. The idea is to combine fatty-savory-smoky-sweet in one bite. Strips from the belly of the salmon are best. Don’t get me wrong: I love my recipe for smoked salmon. I really do. But it’s for large pieces of salmon, meant to be eaten as a meal, or crumbled into salads or whatever. It ain’t something you can wrap in a paper towel, stick in your pocket and carry with you when you are foraging or wandering around, or maybe fishing for more salmon. For that you need to change things up a bit. First is the dry cure. My regular smoked salmon uses a brine cure, which keeps the fish supple and moist. Salmon candy needs to be heavily cured and heavily smoked to keep in less than ideal conditions. While it isn’t strictly jerky, although I might make a true salmon jerky one of these days, the heavy cure and smoke has let me carry salmon candy on multi-day road trips and on fishing boats with a minimal amount of refrigeration. How minimal? I’ve eaten it at room temperature after it had been in my pack while fishing all day, or in the late afternoon on a long drive. But I fish in cool places, so the salmon probably never got about 65°F. I wouldn’t let it get hot and eat it. Remember, this is an Alaskan invention and it rarely gets hot in Alaska. If you want something truly hardy, you will need to cut the strips thinner and smoke them harder to get them jerky-like. 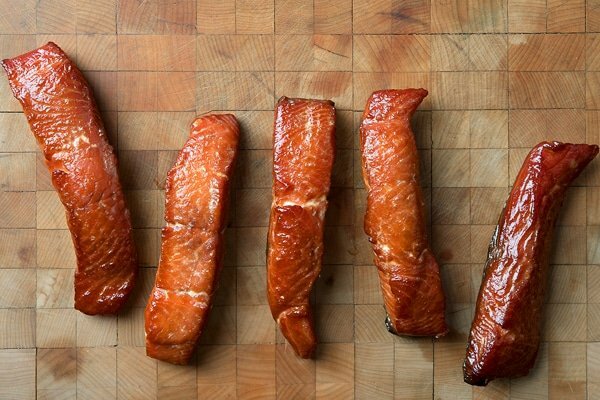 Consider my recipe a hybrid, hardier than regular smoked salmon, and not quite as austere as the traditional salmon candy made by the native Alaskans. Whatever you call it, it’s damn good. This is traditionally done with salmon in Alaska, usually chinook, coho, sockeye or chum salmon. 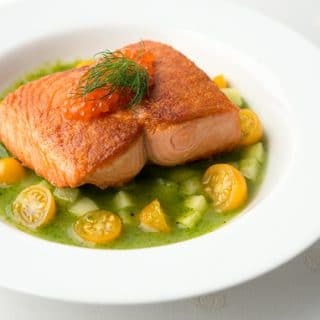 But any salmon will work for this recipe, as will fish like mackinaw (lake trout), Dolly Varden, big rainbows or cutthroats, char or really any large, fatty fish you can cut into strips. I bet tuna belly would be good for this. Mix the salt and brown sugar together. Find a lidded container large enough to hold the salmon; a big tupperware works well. Lay down a layer of the salt/sugar mixture about 1/4 inch deep. Put a layer of salmon down on this, skin side up. Cover the salmon with more salt/sugar mixture. If you need a second layer of salmon, make sure the layer of salt and sugar between them is thick enough so that the pieces of salmon are not touching. Basically you are burying the salmon in salt and sugar. Cover and let cure in the fridge at least 30 minutes, and up to 3 hours. The longer the cure the saltier it will be; I cure for 2 hours. Remove the salmon from the cure, which will get wet, and briefly rinse the fish under cold water. Pat dry with a paper towel and set the salmon on a drying rack skin side down. Let this dry in a breezy place for 2 hours, or in the fridge, uncovered, overnight. I put the racks under a ceiling fan near an open window with another fan blowing at the fish from the side. You are doing this to form a pellicle on the salmon, which helps it smoke properly. Don't skip this step! 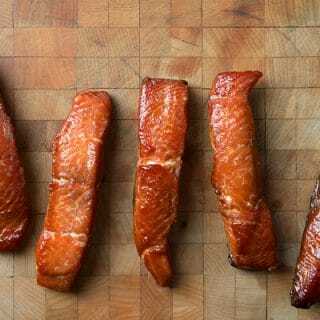 Traditionally salmon candy is cold smoked for several days. If you can do this, go for it. 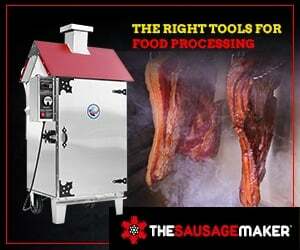 I use a Bradley digital 4-rack smoker, which takes a while to get hot. 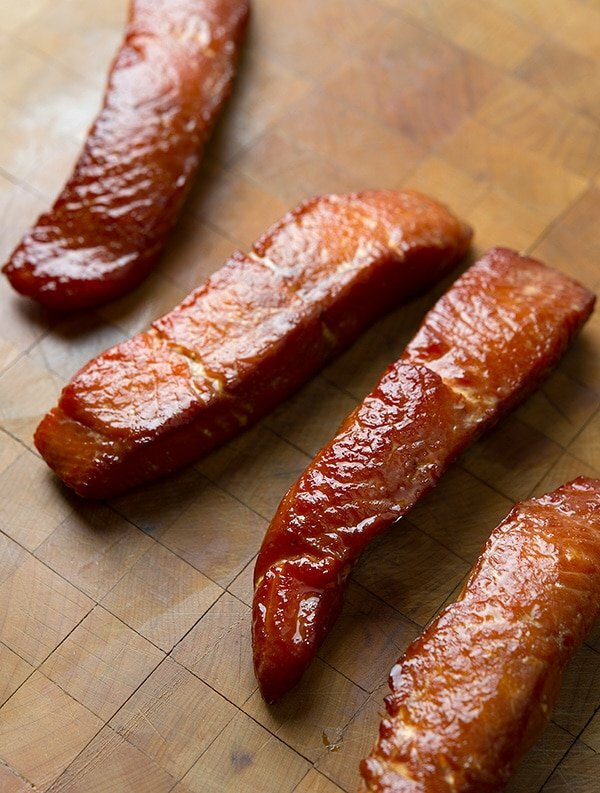 Regardless, you want to bring the temperature up gradually over the course of an hour or so and let it sit at around 180°F to 225°F for at least 3 hours, and up to 8 hours if you like your salmon candy harder and smokier. Every 90 minutes to 2 hours, paint the salmon with the maple syrup. This also helps to remove any albumen -- the icky white stuff -- that can form between the fish flakes if your smoker gets a little too hot too fast. When the salmon looks good and lacquered, typically about 4 hours, remove it to the drying racks again and paint it one last time with the maple syrup. Allow to cool to room temperature before storing. Salmon candy will last a week in the fridge, longer if vacuum sealed. It freezes well, too. Smoke likes Fat. If you did not know, adheres better to fat than lean meat, so bellies and collars are better for this. Vary the thickness. Very thin strips will dry harder and be more like jerky... and will keep longer. I eat mine fairly quickly, so I leave the strips thicker, at about 2 inches wide. 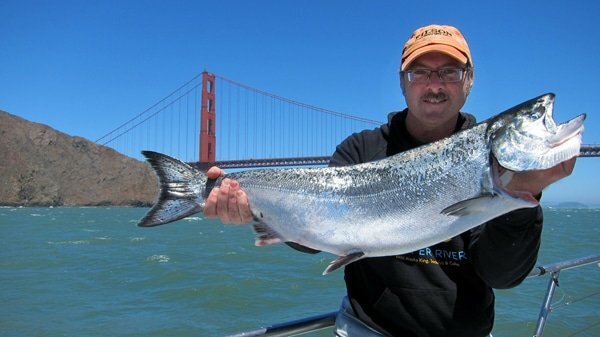 Find dozens of recipes for salmon, trout and char on Hunter Angler Gardener Cook!